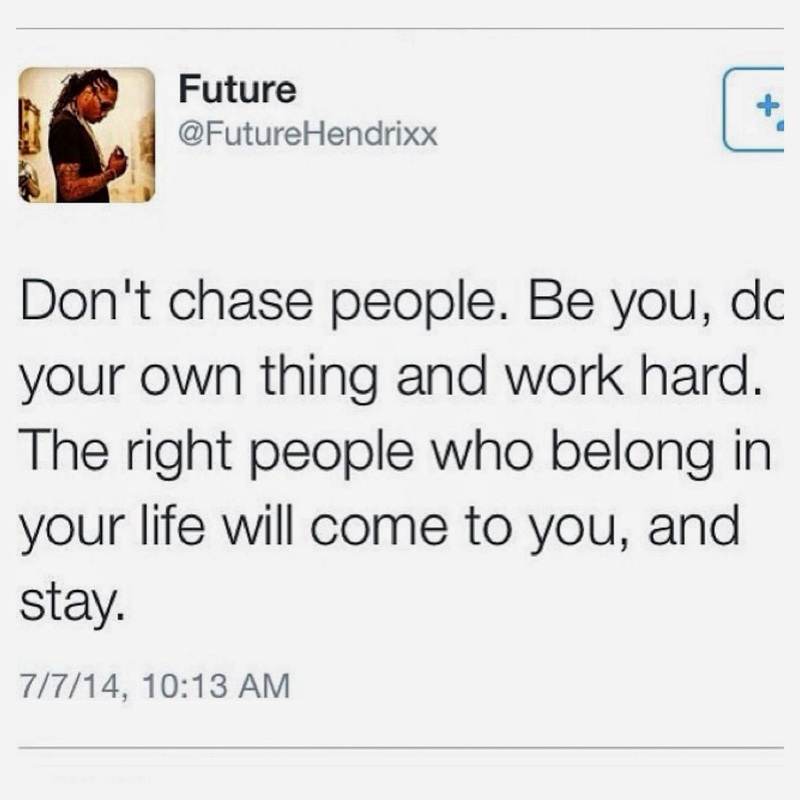 Seeing this tweet really got me thinking . And it doesn't have to be just romantic relationships it can be for family and friendships. I feel if you really want me around and in your life you would put me there. I've gotten to the point in my life where I'm tired of reaching out . I feel like I'm always reaching out but there is no one there to grab my hand . And I hate when people say they're '' BUSY"
We make time for things and people that are important to us . If there is no effort put forward . I don't want to waste my time. I hate when people say " I was gonna .... " thats just bs to me . Its 2014 there are too many ways to talk to people ( text , call , Facebook , FaceTime , kik , twitter , instagram ) There are too many forms of communication . Sorry if it seems like I'm bitching all the time . But sometimes I want to be " chased " . I want to see that you care , that you can put some form of effort in . In any relationship ( friendship , relationship , family ) it should be a 50/50 road and when I feel like I'm giving more than I'm receiving ( my time and my heart ) I'm going to slowly pull away and eventually just be done with you . But enough of my ranting .